Barcode scanning is a mainstream part of our lives. 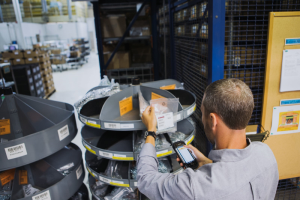 Professionally, barcode technology is key to many organizations beyond just the courier guy. And personally, we experience it at checkouts every day. If you have expertise in barcode technology, you understand some of the surprising complexity and variations in barcodes today. For most people, being able to recognize a QR code may be evident, but at the same time could easily be confused with a data matrix barcode for example. The layperson wouldn’t know the differences between a UPC-A, Code 39 and Code 128, nor how a GS1 Databar Stacked Omni-directional differs from an Expanded Stack. Contact us today to help you figure out the right barcoding technology for your next project, toll free: 1-888-908-6682.